Shape Maker release and development history. 22.09.16 New way of surface's definition implemented. 18.09.16 Interface for line's on surface improved. 17.08.16 New licensing system implemented. 15.08.16 New surface joining implemented. 08.08.16 Text information for elements improved. 16.05.16 Shape Maker V2.1 release now available. 08.04.16 Hydrostatics file generator improved. 15.03.16 Shell expansion drawing output improved. 25.01.16 New way of surfaces visualization implemented. 20.01.16 Shaded Gaussian curvature visualization added. 17.01.16 Hot keys for fairing lines and surfaces added. 17.12.15 New fairing algorithm for lines implemented. 08.11.15 New fairing algorithm for surfaces implemented. 04.10.15 Export surfaces to IGES files improved. 20.09.15 Lines and surfaces modified control points area highlighting. 19.08.15 DXF 4 views lines drawing improved. 14.07.15 DXF export joined lines and sections. 26.06.15 DXF output to named files. 26.04.15 Lines and surfaces control points area definition for shape modification. 19.03.15 Line/Line and Surface/Line intersection algorithm improved. Most of the existing singularity problems fixed. 12.02.15 Installation package updated. Fixed tool bars position after installation. 08.02.15 Hull volume modification function added. 14.01.15 New surface transformation option added. 18.12.14 Delete surface trimming option added in surface context menu. 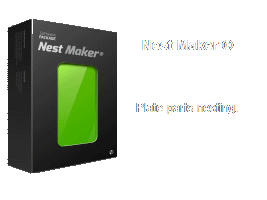 16.11.14 Shape Maker V2.0 release now available. 16.10.14 Export jointed lines into IGES for NUPAS Shape import. 14.10.14 More compatibility for OpenGL visualization with Windows emulators for MAC computers. 14.10.14 Selection of the current block by Right mouse click. 09.10.14 Straightening surface's control points row by Ctrl&Left mouse button. 08.10.14 Straightening line's control points row by Ctrl&Left mouse button. 07.10.14 Lock/Unlock blocks from right mouse click added. 03.10.14 Transparency option added to surfaces visualization. 01.10.14 Import IGES files with rational B-Splines ( NURBS ) improved. 25.08.14 Increasing/decreasing "magic" control points numbers by Ctrl Mouse left/right buttons. 19.08.14 Joined lines implemented for IGES export. 11.08.14 Shape Maker new release now available. 05.08.14 New Import/Export IGES module implemented. Optimized for Rhino, Nupas-Cadmatic, Napa, Catia, Nx-Simens, Autoship, Aveva. 20.07.14 Definition for trimmed surfaces improved. Inner/outer contours implemented into model. 09.07.14 Smart elements selection functionality added. 02.07.14 Smart objects snap function added. 12.06.14 Block preview window implemented. 21.05.14 Automatically lines adjustment algorithm improved. 12.05.14 Expanding visible elements in block tree options. 19.05.14 Changing current block options by clicking on block icon. 08.05.14 Lock/unlock option for blocks. 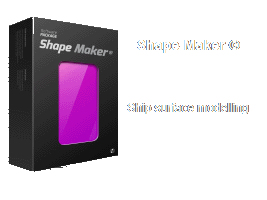 11.04.14 Shape Maker new release now available. 06.04.14 Ortho options from mouse key available for lines/surfaces correction. 01.04.14 Compress view control from status bar button added. 26.03.14 Knuckles line detection implemented. 24.03.14 Knuckles inside surfaces implemented. 14.03.14 Knuckles inside line implemented. 13.02.14 CFD results visualization added. 07.01.14 CFD results from StarCD package converter developed. 03.01.14 Changing lines direction function added. 07.12.13 Rounding by webbed function improved. 05.12.13 Surface/surface intersection algorithm improved. 15.11.13 New algorithm for surface control points modification. 11.11.13 Profile driver interface updated. 03.11.13 Pipe driver interface updated. 24.10.13 Shape Maker new release now available. 23.10.13 Gaussian curvature visualization improved. 22.10.13 New installation package developed. 20.10.13 Gaussian curvature inflection lines visualization improved. 10.10.13 Point on line/surface - parameters recalculation, when changing line/surface representation. 18.09.13 New surface fairing algorithm implemented. 10.07.13 Common interface principals simplification. Less unnecessary questions in dialogs. 19.06.13 Offset table output improvement. 10.06.13 Updated hydrostatics calculation algorithm. 18.05.13 Updated surface approximation algorithm. 13.03.13 Updated tool bars icons. 30.02.13 Include function added in block context menu. 29.02.13 Import function added in block context menu. 27.02.13 Explode function added in block context menu. 22.02.13 Scale function added in line context menu. 21.02.13 Extend function added in line context menu. 19.02.13 Move function added in line context menu. 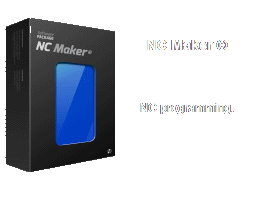 10.02.13 Shape Maker new release now available. 08.02.13 Parametric lines mesh visualization updated. 28.01.13 New project grid visualization with colored additional sections. 18.01.13 New DXF output for hull lines drawing implemented.